Looking for deals in Gothenburg? Dating back to 1852, this elegant hotel is a 5-minute walk from Gothenburg Central Train Station. It offers a peaceful inner courtyard, free Wi-Fi and free coffee/tea and homemade cake each afternoon.... the room, the service, we asked extra blanket and we got...we where asked if we would like to have higher temperature in the room and we got just that! free cake, coffee and tea in the evening was great! breakfast was nice too! This modern and exclusive boutique hotel, 6 minutes’ walk from Gothenburg Central Station, is just 656 feet from Kungsportsplatsen Tram Stop. It offers free WiFi and a contemporary restaurant with... I love EVERYTHING at Dorsia and wish I could visit again. In the center of Gothenburg at Grönsakstorget, this stylish boutique hotel includes free Wi-Fi and spacious rooms with modern design. The uniquely decorated lobby features a 24-hour bar. The bacon is excellent.The room was very quiet! Set between Kungsgatan shopping street and the Göta Älv River, this stylish hotel offers a 12th-floor restaurant and cocktail bar. Cold air in the rooms, but everything else was very good. And you had a very nice bathroom. Located in a 19th-century building, this hotel is directly across from Scandinavium Arena. 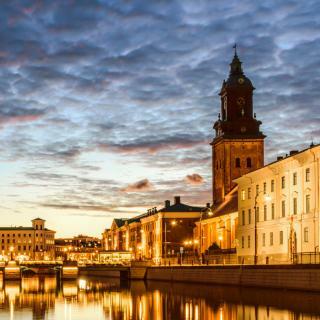 The Swedish Exhibition & Congress Center is a 5-minute walk away. It offers free WiFi and an on-site bar. The hotel staff are really good, gave me the city map and recommended good places to go. 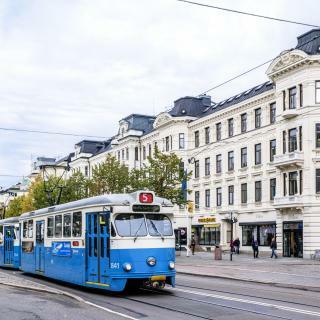 This hotel is a 15-minute walk from Liseberg Amusement Park and a 5-minute tram ride from the Scandinavium Arena and the Svenska Mässan Exhibition Centre. It features free sauna access and free Wi-Fi.... Helpful staff, 24h front desk. The stylish First Hotel G is above Gothenburg Central Station, across from Nordstaden Shopping Center. It offers free Wi-Fi, sauna and gym access and an elegant champagne bar. Really great location. Room was comfortable and quiet. Nice facilities. This stylish hotel is ideally located on Gothenburg’s main street, Avenyn, and directly across from the Landvetter Airport Bus Stop. Friendly, professional, nice room, great location, nice breakfast, good amenities. This hotel is a 2 minute walk from Chapmans Torg Tram Stop and less than half a mile from Gothenburg’s Ferry Terminal. It offers a popular breakfast buffet, free Wi-Fi and rooftop terrace. Having a great bathroom after spending 4 nights at a hostel! Scandic Europa is located in the Nordstan Shopping Center in Gothenburg, 820 feet from Gothenburg Central Station. It offers air-conditioned rooms with free WiFi. Breakfast was amazing. Comfy beds. Located in central Gothenburg, this modern hotel is 4 minutes’ walk from Gothenburg Central Station. Nordstan Shopping Center is 1640 feet away. The hotel staff was amazing. The stay was amazing and quiet. Situated 215 yards from Gothenburg’s main shopping street, Avenyn, the Hotel Poseidon has brightly decorated rooms with free Wi-Fi access and a flat-screen TV. Good location near the bus and tram station. Set next to the Swedish Exhibition & Congress Center, this stylish hotel is opposite Liseberg Amusement Park. Stunning panoramic views of Gothenburg can be enjoyed from the 23rd-floor sky bar. Quite convenient hotel. Efficient and nice staff. Housed in a historic 19th-century building, this hotel is directly opposite Gothenburg Central Station on Drottningtorget Square. A courtyard or city view can be enjoyed from the rooms. Great location - across from the central train station. Great breakfast - lots of choices! Located in a former brewery at the entrance of Gothenburg Harbor, this hotel offers free WiFi, rooms with a flat-screen TV and in front of the hotel you can find an outdoor parking available at a... Clean Exceptionally good breakfast, location was good for us. This stylish, boutique hotel overlooks the main street of Avenyn in central Gothenburg. It offers rooms with a flat-screen TV and free WiFi. Valand Tram Stop is 328 feet away. Loved all of it, great friendly staff, nice room, excellent breakfast and fantastic roof top bar. This hotel is 150 yards from Gothenburg Central Station and Nordstan Shopping Center. It offers free Wi-Fi, a free evening buffet and great panoramic city views from its roof terrace/summer bar. Very central location, hotel comes with dinner and breakfast! Very nice staff and big rooms. In the Eriksberg district, just a 10-minute ferry ride from central Gothenburg, this intimate waterfront hotel has rooms with free Wi-Fi and a flat-screen TV with satellite channels. Right on the water! Easy access to both buses and ferries to the train station! This hotel is set in a charming, renovated 1920s postal building, 164 feet from Gothenburg Central Station. It offers 2 in-house restaurants and a rooftop pool with terrace. Location was very convenient with the proximity of the train and bus station. This hotel is overlooking the Göta Älv River in central Gothenburg, only 984 feet from the Gothenburg Opera House. Guests at Comfort Hotel have free gym and sauna access. The location is great, close to the train station, tramps, restaurants and shopping arena. Which hotels in Gothenburg are good for couples? These hotels in Gothenburg are highly rated by couples: Upper House, Dorsia Hotel & Restaurant, and Avalon Hotel. Which hotels in Gothenburg are good for families? Many families visiting Gothenburg loved staying at Dorsia Hotel & Restaurant, Upper House, and Hotel Royal. Which hotels are the best ones to stay at in Gothenburg? Hotel Royal, Hotel Vanilla, and Dorsia Hotel & Restaurant are some of the popular hotels in Gothenburg. How much is a hotel in Gothenburg for this weekend? The average price per night for a 3-star hotel in Gothenburg this weekend is $207 or, for a 4-star hotel, $276. Looking for something even fancier? 5-star hotels in Gothenburg for this weekend cost around $433 per night, on average (based on Booking.com prices). 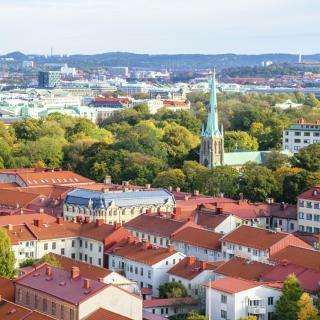 Which neighborhood is the best one to stay at in Gothenburg? Majorna, Avenyn, and Centrum are popular with other travelers visiting Gothenburg. What are the best hotels in Gothenburg near Gothenburg Landvetter Airport? Travelers who stayed in Gothenburg near Gothenburg Landvetter Airport (GOT) have said good things about Landvetter Airport Hotel, Flygplatshotellet, and Evika boutique hotel. How much does it cost to stay in a hotel in Gothenburg? On average, 3-star hotels in Gothenburg cost $102 per night, and 4-star hotels in Gothenburg are $147 per night. If you're looking for something really special, a 5-star hotel in Gothenburg can be found for $242 per night, on average (based on Booking.com prices). Which hotels in Gothenburg have nice views? Upper House, Gothia Towers Hotel, and Avalon Hotel got great room view-related reviews from travelers in Gothenburg. How much is a hotel in Gothenburg for tonight? On average, it costs $105 per night to book a 3-star hotel in Gothenburg for tonight. You'll pay around $140 if you choose to stay in a 4-star hotel tonight, while a 5-star hotel in Gothenburg will cost around $261, on average (based on Booking.com prices). 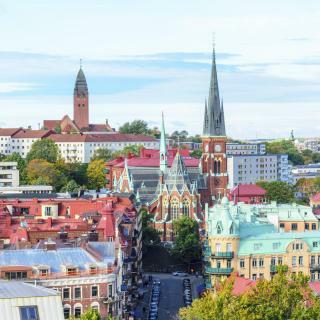 What are the best hotels in Gothenburg near Scandinavium? Some of the best hotels in Gothenburg near Scandinavium include Upper House, Eklanda Bed & Breakfast and Gothia Towers Hotel. 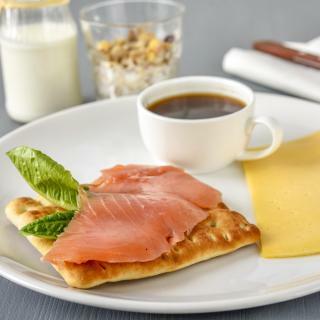 Which hotels in Gothenburg offer an especially good breakfast? For hotels in Gothenburg that serve highly-rated breakfasts, try Dorsia Hotel & Restaurant, Hotel Pigalle, and Upper House. Be aware that this is not a tourist hub. Be aware that this is not a tourist hub. Some restaurants open after five and most people are indoors at 8 so not much of nightlife. Otherwise the architecture is amazing and there is loads of awesome exploring you can do. The fashionista in you will enjoy it and do not miss the candy stores! Getting around on foot is best. Every coffee shop has food, and it is usually great. Compared to Stockholm it's not as clean. Compared to Stockholm it's not as clean. Not too much to explore. Seemed almost like a good amount of immigrants were routed to Göteborg as I barely noticed any in Stockholm. This is not meant in a negative way, it was just so obvious. Göteborg does have a great nature park though. Gothenburg is a very beautiful city. Gothenburg is a very beautiful city. Nice buildings, nice and polite people and many places to visit (parks, cafeterias and restaurants). There are also interesting museums and libraries to visit. The means of transport help go around the city, but the best you can do is walking all around the city. A compact city, that is great for photography, and have nice views and outstanding food. We did not try all markets we wanted to visit since of News year they were closed, but Gotthenburg is charming in every possible way. 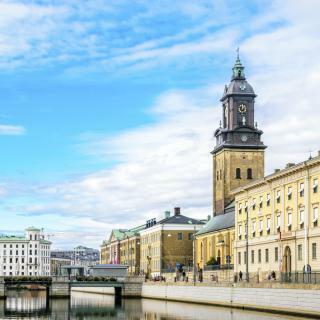 Gothenburg is a great city to go to if you prefer a more laid back trip. Going around was easy and convenient. I went in the fall, but heard great things about the spring and summer seasons, so I might go back then. We enjoyed the downtown area. We enjoyed the downtown area. The scenery was very nice in the surrounding area. We could have spent more time driving around, had we had the opportunity. We just happened to be there when it was raining and very windy. But it is a beautiful place. The room was very nice. It was a good size with a little corridor type entrance leading to the bed and the bathroom. Felt a bit like an apartment. The location of the hotel is brilliant! It is in the city centre and the central station is a 30 second walk away with tram stops just outside too. Great place to stay if you want a Saturday night out in Goteborg...Sunday breakfast (which is quite good) is open until 12:00. Late checkout is available free of charge until 18:00. Location is good. Rooms are pretty standard. Bar downstairs is really nice and popular. Good hotel. This is a gem of a hotel right in the middle of what is by a huge margin Sweden’s nicest and friendliest city. Superbly comfortable rooms and impeccably curteous friendly staff. Generous breakfast, convenient parking - what more can you ask of a city hotel? Everything a hotel should be. Friendly efficient staff, comfortable rooms, great breakfast and dinner in the restaurant was fantastic. The location is beautiful on the waterfront with easy access to city centre by both bus and ferry. Location is great - you easily get from hotel to city centre by ferry (10 min ride). The ferry portal is just 3 min walk away from hotel. Hotel facilities are top. Good food - nice staff. Staff was very great! Breakfast buffe - very good! It had everything! Plant based yogurts, milks, fruits, granolas available for vegans too. Location of the hotel is perfect. Hotel is clean, it is in the centrum, so you can walk thru the city. Breakfast was very good. The bath was big and clean. Close to the city centre. Easy parking. Good atmosphere in the hotel. Good breakfast. Gym and sauna available. Great location, good value hotel. Close to stop for the airport bus and also a short walk to the city centre. The location is great. The hotel is clean and the staff are friendly. I was very comfortable here. Location, the hotel is right in the city centre. Room was nice and tidy. Nice hotel. Location couldn’t be better. And the breakfast perfect! Location in the heart of Gothenburg is perfect. Near to the city centre. Location was very convenient with the proximity of the train and bus station. The breakfast buffet was excellent with a wonderful and fresh assortment of foods. Did not use the rooftop pool, but checked it out for photo ops. Staff super friendly and helpful. It a very clean facility and very conveniently located. The rooms are small by US standards, but absolutely at par with any European hostel. It is a very good option to stay at if you are young or want to travel frugally. Quite convenient hotel. Efficient and nice staff.